Rider University is keeping up its end of the bargain in the construction of their new environmentally-friendly dormitory. 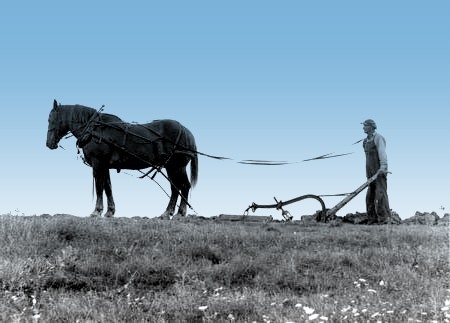 Belgian plow horses are being used to clear four acres of land in an effort to reduce greenhouse gas emissions. Read all about it in the Trenton Times! the average person in the United States produces about 6.5 pounds of trash every day? at the rate Americans are generating garbage, 500 new landfills would be needed every year? one third of the paper mills in the United States use recycled waste paper exclusively? every three months, Americans throw away enough aluminum to rebuild the nation ’s commercial air fleet? if you throw away two aluminum cans, you would waste more energy than is used daily by each of a billion citizens in poorer countries? the energy saved from one recycled aluminum can will operate a television for three hours? it takes 95% less energy to make aluminum from recycled scrap than from virgin materials? making new paper from recycled paper requires 30-50% less energy than making paper from trees and it reduces contributions to air pollution by 95%? every ton of recycled office paper saves approximately 380 gallons of oil? the energy saved from recycling one glass bottle will light a 100-watt light bulb for four hours? it’s like those fantastic NBC commercial moments from our childhood starring Levar Burton and various other sundry actors….the more you know.